A world without borders. Utopia? In preparation for their journey to Oswiecim/Auschwitz the peace elephant contributions from Schengen and Cyprus were on view in Cologne. Here Greek, Turkish and Polish General consul spoke to honor the effort of thousands of participants from Cologne and around the world. A meeting in a city of peace for a city of peace. supported by the Mayor of Cologne and many schools of the region. Please come and join us at our next stop in your city. Elephants for peace in Berlin and Oświęcim/Auschwitz in September 2011 A work of reconciliation. A work of today for the world of tomorrow. Peace elephant contributions from around the world in the library of Oswiecim. Along they brought many book donations for the library to remain as a token of friendship and an homage to knowledge. 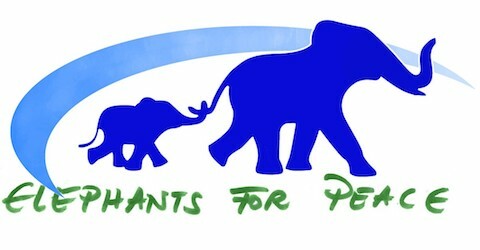 Fernsehbeitrag über das Leben und Wirken der Initatiorin von Elephants for Peace in Zypern und Deutschland. preparation for a longer documentary.